As an international student you must take out Overseas Student Health Cover (OSHC) for the duration of your studies while in Australia. OSHC will cover you for visits to the doctor, some hospital treatment, and limited pharmaceutical medicines and limited ambulance cover. You can arrange OSHC health insurance through your educational institution or purchase it online from an OSHC insurer. 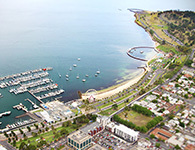 You will be happy to know that in Geelong there are some medical clinics that offer bulk billing to international students. This means your doctor will send the bill directly to your OSHC provider, and you will probably not have to pay anything, or put in a claim form. Check with your OSHC provider to see which doctors they have agreements with. If your doctor does not bulk bill to your OSHC provider, you will need to pay the full fee on the day of your appointment and put in a claim to your OSHC provider. They will pay you back some or all of the fee. Some OSHC insurers also have arrangements with preferred hospitals. These arrangements can mean that if you use your OHSC insurer's preferred hospital there are less gap costs, less paperwork and other benefits. Check your insurer's website to find hospitals that they have arrangements with. Most major hospitals have emergency departments where you can go in a health crisis and a health professional will assess your situation. Be aware that you may have to wait while the staff help other people with more urgent problems than yours. Read more about hospital emergency departments on the Better Health Channel website. The Victorian Government’s Nurse-on-Call service is free. Call 1300 606 024 to reach Nurse-on-Call that puts you directly in touch with a registered nurse for caring, professional health advice around the clock. In an emergency phone triple zero '000'. In Australia you can also dial 112 from mobile phones if you are out of phone network range. You will be asked whether you want ambulance, police or fire. The person you will talk with is trained and knows what to do. Listen carefully to their instructions. If you are deaf or have a speech or hearing impairment call 106. This is a text service, not SMS and can be reached using teletypewriters. The poisons information centre help line is available 24 hours a day, seven days a week. If you or someone near you has been poisoned, has overdosed or has made a mistake with medicines call this number. If you have been bitten or stung by a poisonous animal also call this number. For mental health emergencies including people talking about committing suicide call Lifeline, a 24-hour crisis phone line on 131 114.